Our fluffy, pink, cuddly womb is a whopping 9" x 14". 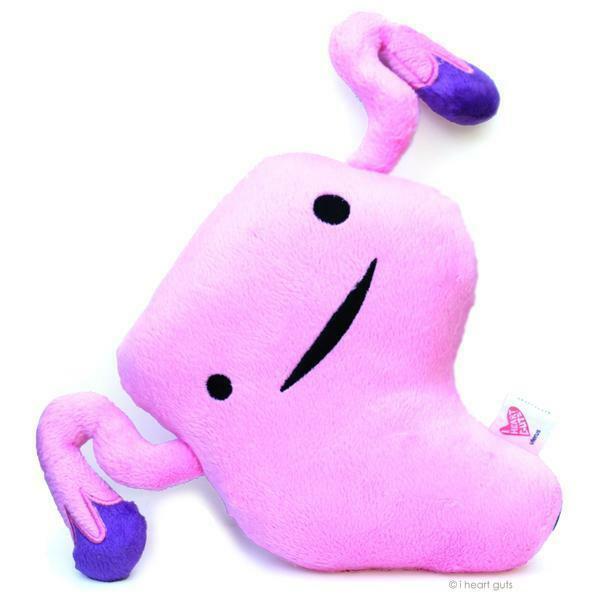 When it's that time of the month, you may not like your uterus much, but hey, you wouldn't be here without one, so give props to this special reproductive organ. Comes with a spectacular educational booklet hangtag that cheerfully describes the inner workings of the womb, the mother of all organs. Safe for all ages, packed inside a biodegradable plastic sleeve. Designed in California, made in China.